The new year is off and running and we are serving up a smorgasboard of attractions at AASCEND‘s January 24 meeting. We’ll start off with a dissussion of this breaking news: AASCEND is invited to host a show on SF Commons Public Access Television in the new year. What should we call the show? How can we best use this opportunity to tell people about life on the spectrum? What would you like to say? Who should we interview? How can you be involved? Join us for the conversation about an exciting new opportunity. Next, AASCEND has been invited to speak its mind on how to improve public library access to people on the autism spectrum. Do you use the public library regularly or would you like to? What do you like about the library experience and how could it be improved? Come share your experience and ideas. 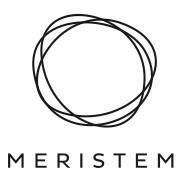 Finally, Meristem, a new school for transition-age autistic people will be opening this year in Sacramento and AASCEND has been invited to hear their plans and to offer suggestions about the program. This is a first for AASCEND — let’s see how our experience can help!